Ellen is an entrepreneur, author and activist. She is currently a Co-Director of the Summit Institute and President of EG, Inc, an impact-focused consulting business. She is also the Chief Strategy Officer at Inkwell, a recruiting innovator that matches top, diverse talent with flexible jobs. 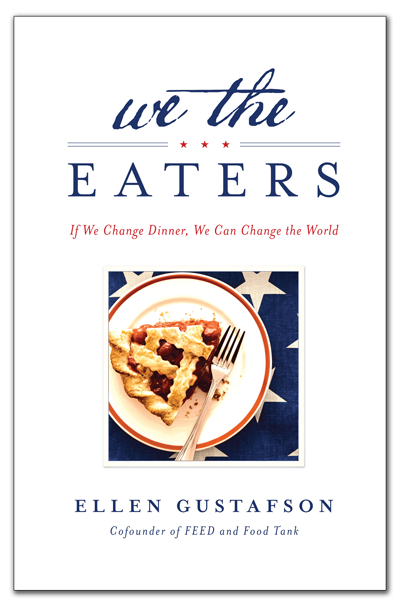 Her first book, “We the Eaters: If We Change Dinner, We Can Change the World” was published in May 2014. She previously Co-Founded of FEED and Food Tank and Founded the 30 Project and Change Dinner campaigns. She has been featured as one of AOL and PBS’s MAKERS, trailblazing women who are “making” America, Fortune Magazine’s 2009 Most Powerful Women Entrepreneurs, Inc Magazine’s 2010 30 Under 30, and Diplomatic Courier Magazine’s 2011 “Top 99 Under 33” in Foreign Policy. She's on the Board of the food-tech company Foodstand, serves on the Barilla Center for Food & Nutrition Advisory Board, has served on the Columbia University Alumni Board of Directors and was a founding Director of Bronx Success Academy 1, a charter school within the Success Charter Network. The implausible truth: over one billion people in the world are hungry and over one billion are overweight. Far from complete opposites, hunger and obesity are in fact different manifestations of the same problem – it’s increasingly difficult to find and eat nutritious food. Ellen Gustafson—a young entrepreneur, foreign policy expert, and food policy advocate—delivers a wake-up call that will inspire even the most passive reader to take action. We can love our food and our country while being better stewards of our system and our health. We the Eaters is nothing short of a manifesto: If we change dinner, we really can change the world. Ellen has spoken at the Fortune Most Powerful Women’s Conference, the World Food Prize, and was the Co-Chair of the Economist’s Feeding the World conference and has guest lectured at Harvard, Yale, NYU, London School of Economics, Columbia, the US Naval Academy and given 4 TEDx talks. To request Ellen as a speaker for your event, please contact her representation at Outspoken Agency, or call Outspoken Agency at 1-646-863-4000.